Based on the traditional 24x36mm film format, a 50mm lens has an angle of view of about 45 degrees and is considered “normal”; lenses with an angle of view narrower than 40 degrees can be considered “telephoto.” Long focal length lenses produce a magnified image along with compressed perspective; as the distance to the subject increases, the vanishing point moves back and the subject appears to be the same size as surrounding objects. But it takes more than just a long focal length lens to make great wildlife images. Long focal length lenses usually require a tripod—sometimes two. 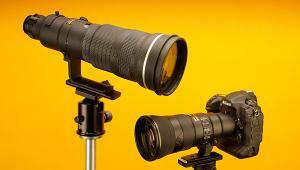 Depending on the lens’s size and focal length you may need a tripod for the camera body and another for the lens. 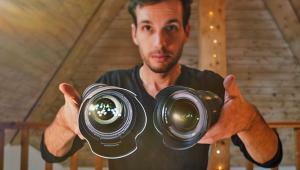 Lenses with rotating tripod collars make it easy to change from horizontal to vertical shots. For shooting wildlife, some lenses let you set a detent at a predetermined area, so you can focus anywhere and then quickly return to the detent. If you don’t like schlepping a tripod, choosing an image-stabilized lens may be a better option. Image Stabilized, Vibration Reduction, Optical Image Stabilization, or Vibration Compensation (whatever your favorite manufacturer chooses to call it) can be a big help in overcoming the old rule that shutter speed should be set as the reciprocal of the focal length. For example, when using a Canon EF 400mm f/5.6L USM lens ($1,249) you should use a minimum shutter speed at 1/400 second or 1/500 second to get sharp images. Shooting at dusk and dawn may require faster apertures and slower shutter speeds. If you can afford it, Canon’s EF 400mm f/2.8L IS II USM ($9,999) with image stabilization offers a four-stop advantage. Sure, it’s the cost of a 2012 Toyota Corolla but when playing with long lenses, you need to bring your checkbook. I’m not going to beat up that old “zoom vs. prime” controversy. By now, you’ve already made up your mind about it, so I’ve tried to present both options when I could. Nikon’s AF-S Nikkor 200-400mm f/4G ED VR II lens weighs 7.4 lbs and measures 14.4 inches and uses drop-in 52mm filters in a slot behind the lens collar. 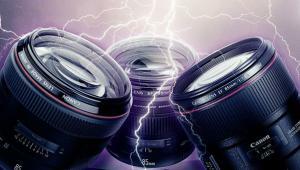 The lens has four Extra-low Dispersion (ED) glass elements for sharpness, contrast, and color correction. Silent Wave Motor (SWM) enables quiet AF for those situations when a stealthy approach is called for and there’s also a manual focus override. For handheld shooting, built-in Vibration Reduction (VR) provides three additional stops. All this goodness is not cheap ($6,999) but it’s a fixed aperture lens designed for full-frame cameras. Sometimes you need just a little more reach. Nikon’s AF-S Teleconverter TC-14E III ($499) effectively multiplies the focal length of (many) Nikkor lenses by 1.4x, while only losing one stop of exposure. Fluorine coatings protect the front and rear surfaces from dirt and water and a water-drop-resistant lens barrel can handle the elements. The TC-14E III only weighs 6.7 ounces and measures 2.5x0.9 inches so you can keep it in your pocket ready to use. Tamron’s SP 150-600mm f/5-6.3 Di VC USD ($1,069) is available for Canon, Nikon, and Sony full-frame and APS-C (233-930mm angle of view) cameras. Three Low Dispersion elements correct chromatic aberrations and Tamron’s eBAND and BBAR (Broad-Band Anti-Reflection) coatings suppress flare and ghosting. The lens has built-in Vibration Compensation (VC) and an Ultrasonic Silent Drive (USD) autofocus motor that focuses as close as 106.3 inches. The lens has a moisture-resistant construction, weighs 68.8 ounces, including detachable tripod mount, and measures 10.1x4.16 inches using a hefty 95mm front-mounted filter. Tokina’s AT-X 70-200mm f/4 PRO FX VCM-S lens ($899) is designed for digital cameras with full-sized or APS-C sensors and has a Vibration Correction module that allows up to three stops. It has a ring-shaped ultrasonic-style autofocus motor for fast, quiet autofocus and lets you switch between AF and manual focus modes. A tripod collar is optional ($229) but a lens hood is included. The optical design uses Super-low Dispersion glass elements to correct for chromatic aberration throughout the zoom range. The lens measures 3.23x6.59 inches, weighs 2.16 pounds, and uses 67mm filters. 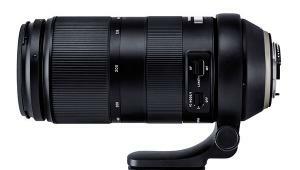 Sigma offers two 150-600mm f/5-6.3 DG OS HSM hyper-telephoto zoom lenses that vary in design and purpose. The 150-600mm f/5-6.3 DG OS HSM Sports ($1,999) is designed for high-action situations while the 150-600mm f/5-6.3 DG OS HSM Contemporary ($1,089) offers similar performance in a more compact and portable design. Both versions are dust- and splash-proof and use water- and oil-repellent coatings on front and rear elements. The “twins” have an updated Optical Stabilizer (OS) that features an accelerometer for improved vertical and horizontal panning that’s important for bird and wildlife photography. 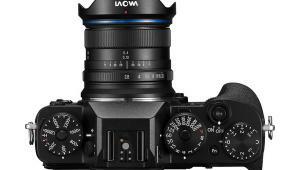 There are zoom lock and manual override switches for improved focus control. The lenses are available in Canon, Nikon, and Sigma mounts and are compatible with Sigma’s Global Vision teleconverters, which are effective up to f/8. The 150-600mm f/5-6.3 DG OS HSM Sports measures 11.4x4.8 inches and weighs 6.3 pounds. It contains 24 lens elements in 16 groups—with two FLD and three SLD glass elements; it has a minimum aperture of f/22 and a minimum focusing distance of 8.5 feet. Its maximum magnification ratio is 1:5. The Sports lens included a lens hood and rotating tripod collar. The weight of the 150-600mm f/5-6.3 DG OS HSM Contemporary was not finalized (at deadline) but its dimensions are 10.2x4.1 inches with a 95mm front filter. The lens has 20 elements in 14 groups—including one FLD and three SLD glass elements—with a minimum aperture and a minimum focusing distance identical to the Sports version. Its maximum magnification ratio is 1:5. The design of Sony’s FE 70-200mm f/4 G OSS full-frame E-mount zoom lens ($1,498) includes ED and aspherical elements along with a Nano Anti-Reflective (AR) coating. It has dual linear motor AF with SteadyShot Optical Image Stabilization. The lens has dust- and moisture-resistant construction, offers focus hold and range limiter controls along with a removable tripod collar and lens hood. It measures 3.25x7 inches, weighs 29.7 ounces, has a 72mm filter size, and a minimum focus distance of 39.3 inches. Sony’s 70-300mm f/4.5-5.6 G SSM II zoom lens ($1,148) is a full-frame A-mount lens with a 105-450mm equivalent with APS-C cameras. It uses two Extra-low Dispersion (ED) glass elements and has a Nano AR Coating. The lens measures 3.25x5.37 inches, weighs 26.5 ounces, and has a 62mm filter size. Sony includes a lens hood and a carrying case. Canon’s EF 100-400mm f/4.5-5.6L IS II USM lens ($2,199) has dust and water sealing features and uses one fluorite and one Super UD element to help contrast and resolution with reduced chromatic aberrations. Air Sphere Coating (ASC) reduces backlit flaring and ghosting, while fluorine coatings on the front and rear lens surfaces minimize smears and fingerprints. A nine-blade circular aperture renders attractive bokeh while a three-mode (standard, panning, and exposure only) Optical Image Stabilizer provides up to four stops of correction. The inner focusing AF system focuses to 3.2 feet at a 0.31x maximum magnification. It measures 3.7x7.6 inches and weighs 3.5 pounds. The lens hood has a window that lets you adjust (77mm) filters, such as a polarizer, without removing the hood. In addition to the HD coating, the HD Pentax-D FA 70-200mm f/2.8ED DC AW lens ($2,299) features Aero Bright Coating II for low reflectance. In addition to four super-low dispersion and two ED elements, lens design uses a pair of Super ED glass elements to compensate for chromatic aberration over the entire zoom range for edge-to-edge sharpness. The lens has fast, quiet internal focusing and an AF limiter switch to improve response time along with a dustproof, weather-resistant construction, making it useful for nature photography. The HD Pentax-D FA 150-450mm f/4.5-5.6ED DC AW lens ($2,499) incorporates three ED glass elements and a super-low dispersion glass element to compensate for chromatic aberration. The weather-resistant body protects the interior from dust and moisture in challenging outdoor weather. Both HD Pentax-D FA lenses feature a high-grade HD coating for sharp, high-contrast images, while minimizing flare and ghosting, even under backlighting. The mirrorless world would not seem to be a hotbed of wildlife photography but judging by what I’m seeing on social media photographers are doing just that. The Olympus M.Zuiko ED 40-150mm f/2.8 PRO ($1,499) produces an 80-300mm equivalent field of view. The AF system separates the focusing mechanism into two lens groups controlled by individual linear drive motors, increasing performance with no gears involved. It’s quiet and nearly friction-free. 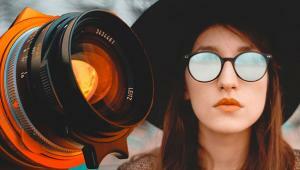 Lens design incorporates 16 lens elements in 10 groups, including coated HD, ED, EDA, and Super EDA glass for reduced chromatic aberration, ghosting, and flares. 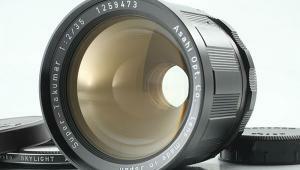 To keep out moisture and dust, the lens has 11 separate seals. It measures 3.13x6.30 inches, weighs 1.94 pounds, and has a 72mm filter size. Using the Olympus MC-14 1.4x Teleconverter ($349) extends its maximum focal length to 210mm (420mm equivalent). 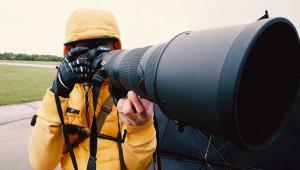 Panasonic’s Lumix G Vario 100-300mm f/4-5.6/Mega O.I.S. 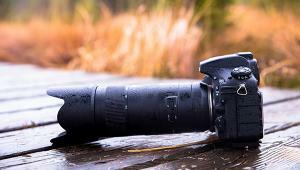 lens ($597) has an image-stabilized focal length equivalent of 200-600mm, making it a natural for wildlife photography. It measures 2.89x4.96 inches, weighs 1.14 pounds, and has a 67mm filter size. One setup popular for mirrorless photographers is using their cameras with Swarovski’s spotting scopes. (See “The Digiscoping Concept” sidebar story.) One approach uses the Lumix G 20mm f/1.7 II ASPH lens ($427) with the Digidapter Digiscoping adapter (www.digiscopeadapter.com) that attaches to the scope using the same collar as Swarovski’s adapter. 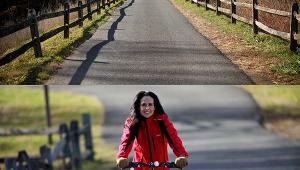 According to Atlanta photographer Rob Knight (www.robknightphotography.com), the Digidapter and 20mm lens produce two stops of light with an effective focal length between 1000-2000mm. You don’t often think of Fuji’s mirrorless cameras for wildlife photography but their XF 50-140mm f/2.8 R LM OIS WR lens ($1,599) produces an angle of view equivalent to 76-213mm that when combined with a weather- and dust-resistant construction should find a home with nature photographers. Construction includes 23 glass elements in 16 groups, including five ED elements and one Super ED element. At 3.3x6.9 inches the lens is relatively compact—it uses 72mm filters—and weighs 2.2 pounds. Nikon’s AF-S Nikkor 300mm f/4E PF ED VR, which at 26.6 ounces, claims to be the world’s lightest 300mm full-frame—it works with DX cameras, too—fixed focal length AF lens. It only uses a 77mm filter and with a $1,999 price tag, you won’t have to mortgage the house to pay for it. The PF stands for the use of Phase Fresnel (PF) lens elements, which brings sharpness with virtually no chromatic aberration or ghosting as well as reducing lens size and weight. Nikon’s VR stabilization system allows an extra 4.5 stops and an overall length of 5.8 inches makes hand-holding possible, even for the squeamish like me. The 180mm macro lens is becoming something of a favorite for nature photographers, especially when making pictures of skittish subjects like butterflies or hummingbirds. 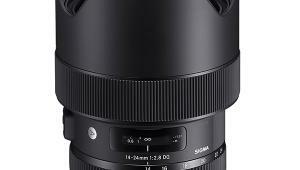 Sigma’s APO Macro 180mm f/2.8 EX DG OS HSM ($1,699) produces a magnification ratio of 1:1 at a large maximum aperture. It uses the company’s optical stabilization system, which allows an extra four stops more than otherwise possible. Three FLD (“F” Low Dispersion) glass elements with performance equal to fluorite glass are included to correct color aberrations and an internal focusing system minimizes aberrations that occur when changing shooting distance. Super Multi-Layer Coating reduces flare and ghosting and delivers sharp images, even at maximum aperture. 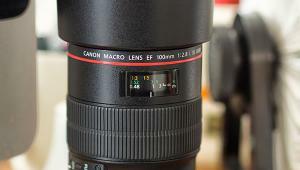 The lens has a rounded nine-blade diaphragm producing attractive bokeh. The lens has a close-focusing distance of 18.5 inches and is available in Canon, Nikon, Sony, and Sigma mounts. Tamron’s SP 180mm f/3.5 Di 1:1 Macro ($739) is available for Canon, Nikon, and Sony full-frame and APS-C cameras. A focal length of 180mm, 1:1 reproduction, a fast, constant maximum aperture, and an optical design featuring two LD glass elements produce a sharp lens with a close-focusing distance to 18.5 inches. A FEC (Filter Effect Control) function lets you rotate the filter to the desired position with the lens hood attached. Canon and Nikon mount versions have a focusing ring with quick switching between auto and manual focus for fine adjustment. It weighs 32.5 ounces, including detachable tripod mount, and measures a compact 3.3x6.5 inches and uses a 72mm front-mounted filter. 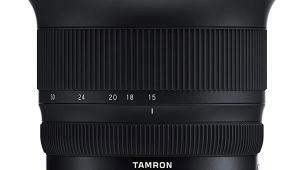 Tamron includes a lens hood and a nice case. Canon’s EF 400mm f/4 DO IS II USM lens costs $6,899 or about the cost of a 2002 Nissan Maxima. It features gapless dual-layer diffractive optical elements for reduced flare. Other coatings reduce ghosting, ensure proper color balance, and reduce fingerprints on the front and rear of the lens. It has a three-mode Image Stabilization system offering up to four stops and can prevent errors when the camera is tripod mounted. AF stop buttons on the front of the lens can automatically stop focusing at any time and a Power Focus (PF) mode makes smooth transitions when shooting video. 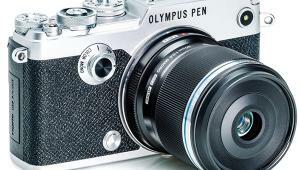 The lens focuses to 10.8 feet, has a nine-blade aperture for pleasing bokeh, and is constructed with lead-free glass. It measures 5.04x9.16 inches, weighs 4.63 pounds, and uses 52mm drop-in filters. The idea behind Digiscoping has been attributed to Laurence Poh, a birdwatcher from the Malaysian Nature Society, who in 1999 discovered that point-and-shoot digital cameras could be held up to the eyepiece of a spotting scope and produce surprisingly good results. Fast forward to today. A popular setup for nature photographers is to use Swarovski Optik ATX/STX Spotting Scopes with their digital cameras. ATX/STX Scopes ($3,775 and up) are available with 65mm, 85mm, and 95mm objectives, which translates into the equivalent of a 1250-3000mm lens. You’ll need an adapter such as Swarovski’s TLS APO Digiscoping Adapter for ATX/STX Scopes ($549) and that still requires a T2 lens adapter.